I am really excited about this competition as one of you will win a 3-month supply of Vitamin D and C! I’ve been taking supplements from Together Health since I noticed them on sale in Holland & Barrett and since then I’ve tried all of the vitamin and mineral packs they sell. I am a happy customer and I will continue buying from them. I always think about how I could help my readers to live healthier life and that’s the reason why I teamed up with Together Health – to bring you an opportunity to win 3 packs of Vitamin D and C.
Together Health’s supplements are better than conventional supplements and the reason why is as the finest natural ingredients are used to create the highest quality supplements which are 100% additive free and gentle on the stomach. Their supplements are based on whole food rather than the isolated chemical forms found in conventional vitamin and mineral supplements. This makes them easier to absorb and healthier too. Although they are not certified organic all foods used in the production of the vitamins are free from pesticides and herbicides as determined by 100% quality testing. The supplements are also vegetarian, approved by Vegetarian Society. Vitamin D is important for healthy bones and teeth but also for efficient immune system. 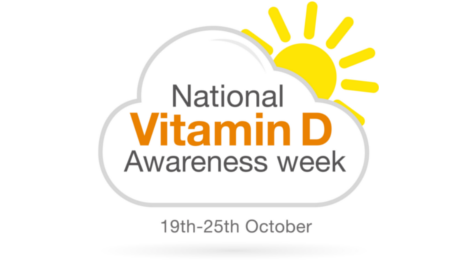 It also plays a role in cancer prevention and helps the body utilise vitamin A. I’ve talked about vitamin D previously and here you can learn about the importance of vitamin D testing. Unfortunately only 10% of vitamin D comes from food and you are advised to expose 30% of your body to the sun for 20 minutes every day for the body to produce enough vitamin D. We know this can be difficult in winter, therefore supplementation may be the best. Vitamin C is a powerful antioxidant which helps fight free radicals in the body and we need more of it during stress, wound healing and any kind of inflammation in the body. It’s essential for iron absorption and the manufacture of collagen – the main ingredient of all connective tissues: ligaments, tendons, bones and skin. This competition is open to UK residents only except employees and their immediate families of Together Health, their agents and anyone professionally connected with the promotion. The closing date is Saturday, 1st November 2014, 12:00am and the winner will be notified within 3 days. The prize will be sent to the winner within 5 days. If the winner doesn’t claim the prize within 28 days, another winner will be picked. Only one entry will be accepted per person or email address. The prize is not transferable, may not be re-sold and is subject to availability. Unless otherwise agreed in writing to Be Healthy Now, the prize will only be awarded directly to the winner. No cash alternatives are available for the prize. Entrants agree to provide reasonable cooperation to allow the Promoter to use the name and/or likeness of the winner for advertising and publicity purposes in connection with this Promotion including but not limited to publication of the winner’s name and photograph on the Promoter’s websites. By entering the Promotion, each entrant acknowledges and agrees that the Promoter (Be Healthy Now) may send marketing material to the email address provided by the entrant. On each such email, entrants shall have the option to unsubscribe from further emails. The email will not be given to any third parties. The Promoter reserves the right in its absolute discretion to disqualify any entrant or entry which does not comply with these terms and conditions and/or any entrant whose conduct the Promoter reasonably considers to be contrary to the spirit of these terms and conditions. I take Vitamin D-3 5,000 IU as I don`t get enough sunlight. I have no idea if they are naturally sourced. 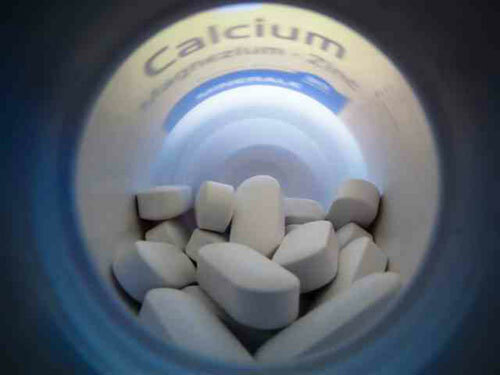 I tend to take vitamin C and Calcium with Vitamin D added, I do not think they are from natural sources. I take opti-women by optimum nutrition. Helps me with fatigue and a daily workout routine. I take quite a few – a natural multivitamin, milk thistle, vitamin D, vitamin C, Calcium, probiotics, kelp, spirulina, chlorella, Q10, and eye supplement, graviola, echinacea, elderberry, can’t remember what else lol. But yes, I try and keep them natural. I don’t do them all every day, it depends what I’m eating that day and what I think needs topping up. I take Biocare’s probiotics to support good gut flora! I’m not currently taking any supplements but I have been thinking about Vitamin D supplements as I’m not sure I’m getting enough from sunlight or certain foods. would love this…i’m told vitamins would help with my immune problems, but i can only afford the multivitamins once a month..
‘Sepia’ a homeopathic tablet for menapause ! !